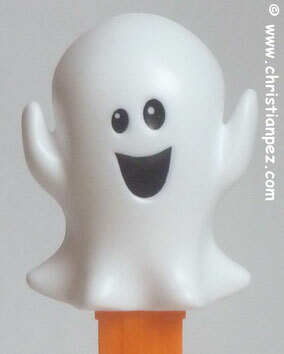 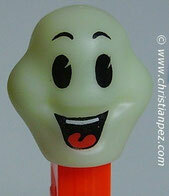 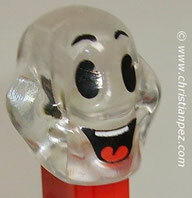 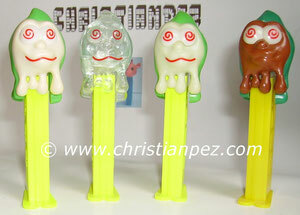 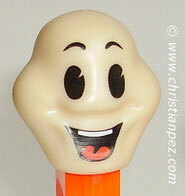 PEZ® has made many different Halloween dispensers. 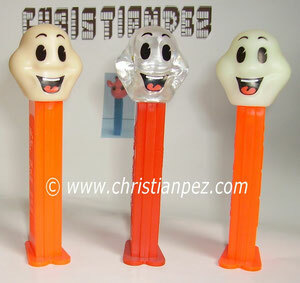 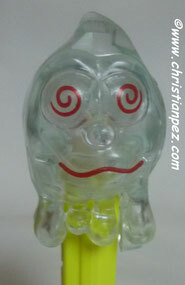 These include the rubber head Eerie Spectres, all the witch variations, pumpkins, Mr.Uglies, Dr.Skulls, and the new glow in the dark ghosts. PEZ® a créé beaucoup de distributeurs Halloween. 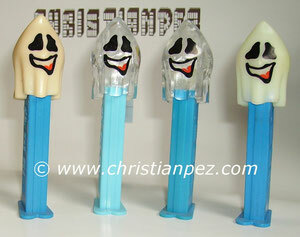 Ceci inclus les têtes caoutchouc Eerie Spectres, toutes les variantes, courges (Pumpkins), Mr.Uglies, Dr.Skulls, et les fantômes lumineux dans le noir.